Surprise and delight your customers with a gift card offering in store. Azpiral gift card functionality allows your customers to purchase branded gift cards and redeem the amount on the card at a later date. Azpiral Gift card functionality is fully integrated to ePOS and can be redeemed in single or multiple locations. The remaining balance can be displayed on the receipt. Companies don’t need to have a loyalty program to run a gift card program. 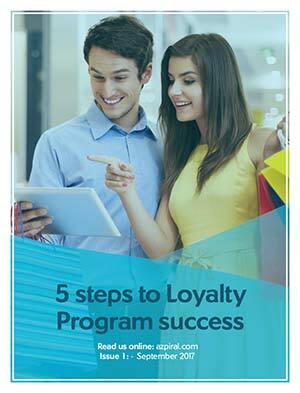 This functionality be setup and run independent of a loyalty program. Fully integrated with the ePOS – easy setup and lower costs. No additional hardware needed instore. No transaction fees on gift card. Can be redeemed across multiple locations – stronger brand presence. Gift card reporting available on AzpiralPRO – keep track of customer behaviour. Users can use multiple gift cards in one transaction – better customer experience at the till. Effective method of attracting new customers. Branded cards increase brand penetration and awareness.